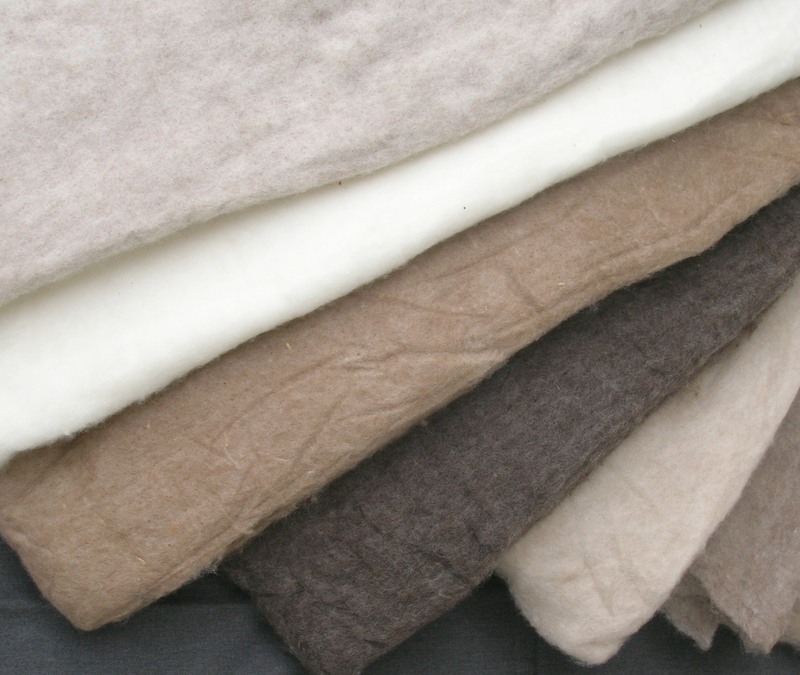 These medium coarse, naturally coloured batts have been lightly needle-felted and are superb for felting large carpets, school murals, purses, etc. 2.4 x 1.8 metres, and 2cm thick. Each batt weighs approximately 1.5kg. 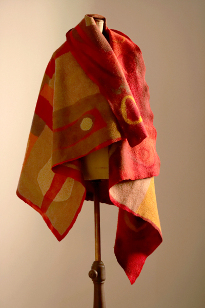 Smaller pieces may be purchased by the square metre. An average weight per square metre is 350gm. The average weights do vary quite a bit from colour to colour. Your batt will need to be cut and weighed before a price can be determined. TO ORDER: please email us for a quote. Once price has been determined a separate invoice will be sent to you for payment.